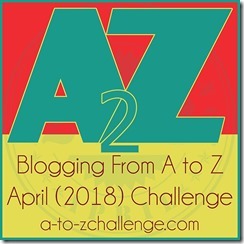 Blogging from A to Z April (2018) Challenge is just around the corner. 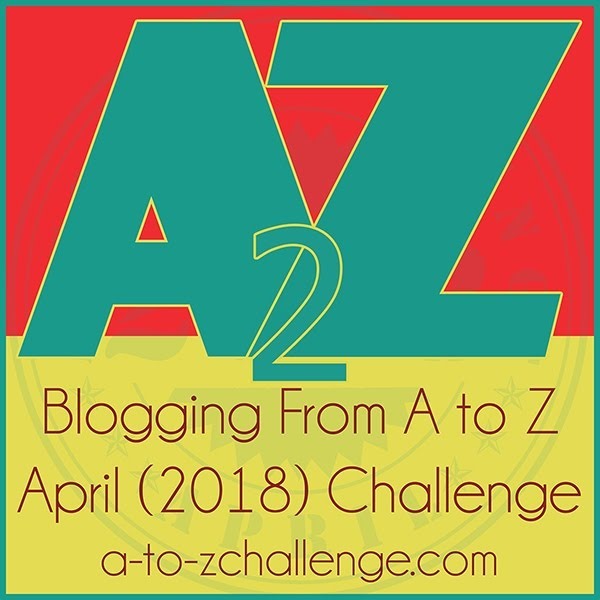 As you know, Blogging from A to Z April Challenge is an annual mega blogging event where bloggers from all over the world write posts from A to Z, every day in April except Sundays! This challenge is a great way to connect with bloggers over a shared passion and that’s writing. I will be participating in this challenge for the 6th consecutive time. Over the last two decades, I have traveled a lot. A large part of it is due to work in marketing and now training. Traveling has transformed me and has put things into perspective for me. It has humbled me and made me realize that I am much more capable than I believed. So what if the network or wi-fi isn’t working or the food is not to my liking. Traveling has made me see how other people live and what they have to deal with on a daily basis. In Notes from the Road, I share my thoughts, views, experiences, tips, stories which are inspired by my years on the road. So it would be all about travel from A to Z. If you love travel as much as I do, I am sure this series will make your travel bug itch. And if you aren’t a travel buff, I am sure that this will inspire you to pack your bags and start exploring the world around you. So join me this April and let’s go, fly, roam, travel, voyage, explore, journey, discover some exciting adventures together!! Blogchatter is now championing this challenge on their own in April. Registrations for Blogchatter A To Z, are *STILL* open. And you must sign-up on the A to Z Official Blog too. I know how it is with little ones around. Hope these posts re-kindle your love for travel, Rashi. I love travel stories. Awaiting the posts..
Super theme Shilpa! I am so tempted to jump in but I won’t be able to do justice to it this year. Your travel notes will be engaging and interesting! I look forward to reading you when I can. All the best for the A to Z! Ah! I understand, but wish you were joining us too. 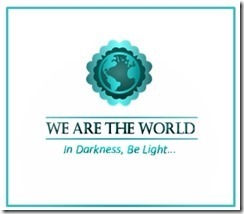 Awesome theme Shilpa – I almost did travel again this year but hten decided against it! I am looking forward to your posts as the learning from the travel are the best things about the journey – let the fun begin! Notes form the roads, Such great theme. Looking forward to read your posts, surely they will be interesting as always. your past 4 years link is a thanks as it guided me. Thank you, Pragun. Glad you are joining us this year for the challenge. Fabulous! I am in awe of your organization, Shilpa. Travel makes for a super read. Of course I am still working on my theme reveal post. Looking forward to the lovely A to Z challenge! Thanks a lot for your kind words, Vidya. Drumrolls indeed! All your themes have been so very interesting always. And this one will also take the cake too. All the best Shilpa, I will return to read your past A-Z posts. Book marking the page. My first A-Z last year was on Travel too, but longer accounts. It’s a brilliant topic to choose, believe you me. Enjoy the ride. I’ll be rooting for you. Thanks a lot for your support, Natasha. I am planning to write 300-500 word posts. Hope that works out well. Arent you participating,Natasha. I thought you were doing this challenge this year. This is going to be another inspiring blog to visit for me. Travelling alone is a dream I hope to fulfil someday. I know the kind of confidence it will give me. And, reading your posts for the whole of next month will be sure to motivate me to let go of my fears and take the leap! 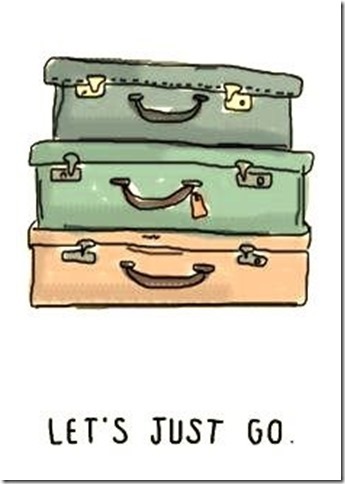 I HOPE that my travel posts do inspire you to pack your bags and travel more often, Shilpa. Interesting theme, Shilpa. I also love to travel a lot. So eagerly waiting to read your posts. All the very best. I love to travel and I will look forward to your posts. Woohooo… this sounds like such fun. Specially if your stories are anything like your insta pictures. I’ll be around for sure. PS: I like the new look of your blog. Ooh! Now that has inspired me to do better and I hope I dont disappoint you! I’ll surely join for e-travel this april on your blog! Great theme! 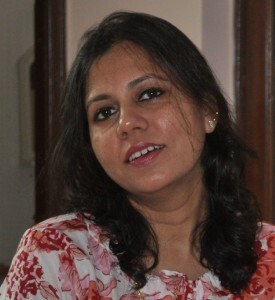 I look forward to reading your posts, Shilpa. I love the theme as I know I’ll never have been to any of the places you’ll be writing about! Wish you all the best in successfully meeting this challenge. Waiting to read all your blog posts. That’s great. Requires some discipline and hard work. I can never be that regular. Good luck Shilpa. Wow! Loved this theme! Though I am tempted to take up the challenge I am thinking of giving it a miss this year! Oh! Dont do that!! You still have time to plan and write. Go for it, Reema. You know this challenge is so much fun and exciting! What a great theme, Shilpa. I know it’s going to be an awesome AtoZ April! I am not participating this time either. There is not enough me to do everything. Next year maybe! All the best, Shilpa. Looking forward to read some fabulous travel notes! 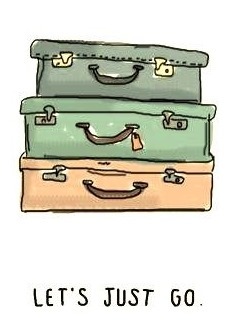 I do love to travel, but i feel i have not been able to travel as much in my life as I would like to. Really looking forward to read your thoughts about travelling. Will be some food for thought for my soul. Good luck, Shilpa. Looking forward to read your stories. Great topic. I still feel kind of new to travel, and I’m a total beginner in the A to Z challenge, so I’m looking forward to your posts! I loved this theme as I love travelling. Thanks Purba and good luck to you too. Looking forward to read some soulful and profound notes from you for this challenge. Cheers! That’s awesome, Shantala. Have a great time exploring and relaxing with your boys. Thanks for your support! That’s really a well thought out travel theme. It would be a nostalgic experience writing from one’s own life. All the best. I will visit for more. What a fantastic them! Really travelling is such a great experience, that makes us grow so much and mature. I’m jealous of people who can travel for work. Can’t wait to read your challenge! Loved your last year’s theme which was so interesting and insightful. Looking forward to know a lot more about the Weimar Republic through your posts, this April. Thanks for your support! Cheers, Sarah! You are so brave to undertake this challenge so many years in a row! Hats off to you! The theme sounds awesome! We’ll have a very similar theme this year, Shilpa, I’ll be looking forward to your travel notes! Love travelling. And so looking forward to all the posts then 🙂 Notes from road, reminds me of another quite old blog, about traveling too 🙂 All the best Shilpa. ]Hi ! Impressive content. People are still not sure what particular steps to take. Now, I think your initiative is well understood to target those to learn the basics. Thanks sharing.